The prices are below and there are no hidden extras, but if you want something that isn't on the list, just let me know and I'm sure I'll be able to accommodate you. 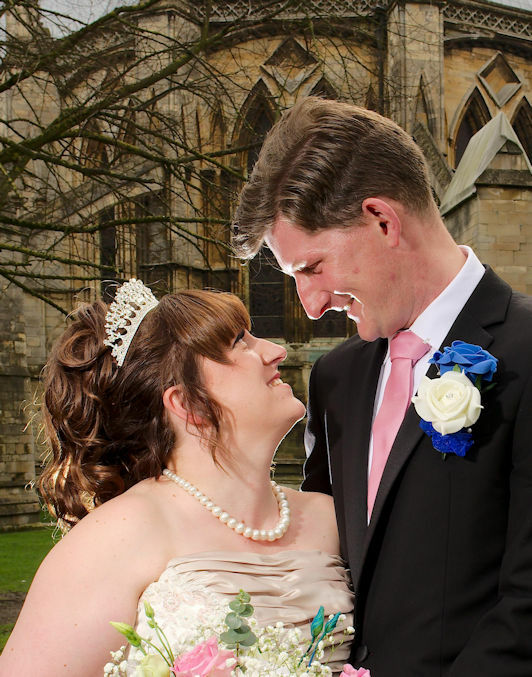 The Premium Wedding Package gives you around 500 edited digital photographs on a USB stick of all aspects of the day including: Bridal preparations, Arrival & Ceremony, Reception, Family & Friends' photos, Evening Event, and anything else you have planned. There will also be a second photographer for the first part of the day, to capture images of the Groom's party getting ready, along with additional photos of cars and so on, plus the arrival of the Groom and guests just before the Bride arrives. You will also receive a 20-page A4 size high quality photobook album containing around 60 images, which tell the story of the day. In addition to this, you also receive an A3 size print of your choice, ready for framing. Also included is an Engagement Shoot with an A3 size canvas print. The total for all this is £958. There is no vat to pay and no travelling expenses or anything else. Additional photographs printed out A4 size and mounted in strut photo mounts are £10 each, or of course you could print them out yourself. I can produce prints of any size, arrange framing, produce a montage or anything else you fancy; just tell me your requirements at our initial meeting or decide later. All you need to do is contact me and we'll arrange a time to meet to go over the layout of the day. If you have any questions at all or need anything clarifying, just press here to contact me and I'll do my best to answer them. I'm looking forward to hearing from you and creating some wonderful works of art. A deposit of £188 secures the booking and fixes the price, then nothing more is payable until after the wedding when I am ready to give you the photographs. To pay just press here. I also offer an Affordable Package. Do you have any more images from weddings for me to look at? Are there any other charges, such as travel costs that we will have to pay? No there is nothing else, and no vat to pay. What if it rains on my wedding day? The photos will be ruined! We will take the photos of guests inside the buildings. Then the Bride and Groom can go back to the venue with me in a week or so and we will spend an hour taking photographs. (There is no extra charge for this). Copyright is not an issue. As far as I'm concerned you have paid for the photos, so you can do anything you like with them; you can print them out, put them on Facebook or use them any way you wish.